What is Best Case/Worst Case? Many frail older adults receive burdensome treatments near the end of life that may be inconsistent with their values and goals. We believe improved communication and partnership between surgeons, patients and families can help patients make treatment decisions based on what is important to them. To promote shared decision making in high-stakes decisions, researchers at the University of Wisconsin - Madison developed the Best Case/Worst Case communication framework for face-to-face discussions about treatment options in the context of serious illness. This framework is designed to help physicians discuss options with frail older patients and their families to achieve treatment decisions that align with patient preferences. Our research group at the University of Wisconsin developed the Best Case/Worst Case framework with input from surgeons, patients, and experts in education and palliative care. As part of a pilot study, we trained surgeons at our institution to use the Best Case/Worst Case framework and evaluated its use for frail, older inpatients hospitalized with an acute surgical condition. Based on our experience training surgeons, we developed training materials to allow healthcare providers to learn how to use Best Case/Worst Case. These materials also provide guidance on how to structure a Best Case/Worst Case training session at your institution. What do the Best Case/Worst Case training materials contain? Who should use these training materials? How were the Best Case/Worst Case training materials developed? 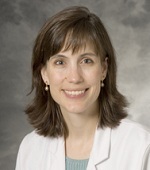 The Best Case/Worst Case communication framework was developed by researchers, palliative care physicians (Toby Campbell, Sara Johnson), education experts (Amy Zelenski), and surgeons (Margaret (Gretchen) L. Schwarze and Lauren J Taylor) in the Wisconsin Surgical Outcomes Research Program (WiSOR) at the University of Wisconsin – Madison. They believed that part of the problem of unwanted care near the end of life is related to the way in which surgeons typically have been taught to talk to patients about high-risk surgery. Surgeons commonly focus on describing the risks and benefits of treatments using the language of informed consent. However, this information does not allow patients to consider how they might experience adverse outcomes or anticipate expected downstream consequences that can result in unwanted aggressive treatments. Although surgeons often lead complex preoperative conversations with patients and their families, they receive little communication training. Thus, the research team identified a need to help surgeons conduct challenging conversations with seriously ill older patients facing a decision about high-risk surgery. To address this need, they developed the Best Case/Worst Case framework with input from focus groups consisting of surgeons and older adults. As part of a pilot study at the University of Wisconsin, researchers taught attending surgeons how to use Best Case/Worst Case in an intensive one-on-one 2-hour training program. Trained surgeons then used the Best Case/Worst Case framework in their practice. The research team audio-recorded and analyzed conversations between surgeons, frail older inpatients and their families. Based on this initial experience, researchers applied conceptual models from implementation science to adapt the training program to accommodate larger groups of learners. This program incorporates an instructional video and small group practice using role play. It was developed and tested with surgical residents at the University of Wisconsin and is currently being studied at institutions across the country. Future research includes studying use of the Best Case/Worst Case framework for non-surgical patients and evaluating the impact on clinical outcomes. This research was supported by training award KL2TR000428 of the Clinical and Translational Science Award program (Dr Schwarze) from the Clinical and Translational Science Award (CTSA) program, the Grants for Early Medical/Surgical Specialists’ Transition to Aging Research Award (GEMSSTAR R03AG047920) and the American Geriatrics Society/Society of Vascular Surgery Jahnigen Career Development Award; by training award (T32CA090217) from the National Institutes of Health and Alpha Omega Alpha Postgraduate Award (Dr. Taylor); and the Cambia Health Foundation Sojourns Scholar Program (Dr. Campbell). These funding sources had no role in the design and conduct of the study; collection, management, analysis, and interpretation of the data; preparation, review, or approval of the manuscript. The statements in this introduction and the associated manuscript are solely the responsibility of the authors and do not necessarily represent the views of the National Institutes of Health or other funders. Schwarze ML, Kehler JM, Campbell TC. Navigating high-risk procedures with more than just a street map. J Palliat Med 2013;16(1):1160-71. Kruser JM, Nabozny MJ, Steffens NM, et al. "Best Case/Worst Case": Evaluation of a novel communication tool for difficult in-the-moment surgical decisions. J Am Geriatr Soc 2015;63(9):1805-11. Taylor LJ, Nabozny MJ, Steffens NM, et al. A framework to improve surgeon communication in high-stakes surgical decisions. JAMA Surg 2017;152(6):531-8. For more information about the research team and their projects, please see this website. Schwarze ML. "Best Case/Worst Case Training Program." UW - Madison Department of Surgery; 2016. Available at: https://www.hipxchange.org/BCWC. Please send requests, questions, comments and suggestions to HIPxChange@hip.wisc.edu.